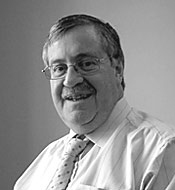 After returning from overseas in 1974, Paul Dentice was employed as a solicitor with another Wellington firm where he acquired a good grounding in property law while gaining some commercial and litigation experience. In 1976 he moved to the Development Finance Corporation, as in house legal counsel, where he developed skills in the areas of company securities and project analysis. In 1978 he commenced at the firm now known as Macalister Mazengarb and has, over his period with the firm, advised corporate clients of the firm in a range of complex commercial property and commercial restructuring and transactions. An entity, in both the establishment phase and on an on-going basis, with separate operating companies for its subsidiary business enterprises which include airport operation, electricity generation and reticulation, fishing, forestry and port operation, and in particular the documentation of relationships with third parties. For more information about the firm’s Commercial and Investment Property practice click here.